What an injection molder could do for you? 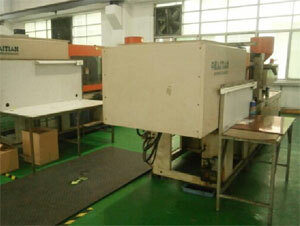 A injection molder is a molding factory that turn resin material into plastic parts via injection molding process. A plastic injection molder can help you to turn your design into realistic and mass production. Why choose China plastic injection molders? In today's economic, globalization is a trend, manufacturing always flow from high cost countries from low cost countries, China is the one of the most competitive places. Injection molding industry in China have been developed in a unbelievable speed for over 30 years, it's recognized by the world not just by cheap price but also good quality. A well-known example will be Apple company, who are famous for high quality electronic consumer products. One of their most popular products, iPhone are produced and assembled in Shenzhen China, all the molds and injection molding are done in Shenzhen China. It is a right decision to work with China injection molder when you want to have good quality and cheap price plastic parts. How the Chinese molder do it? Our company manufactures only high quality injection molds in China exclusively for Europe, US and international molders that need injection molds that can run under their conditions but still need to provide competitive quotes to their clients. 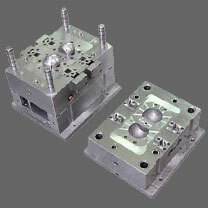 Including air freight we are typically 50% of the cost of the exact same molds built in the US. We are in fact a US based company and all of our mold tooling engineers and account managers are professionals with the industry. Our customers get all the advantages and conveniences of working with highly experienced people in their own countries while still enjoying huge cost savings. There is much that we can share with you about solving the mysteries of finding plastic injection molders in China. You can contact us to get more.